The Indonesian Archipelago consists of more than 17,000 islands stretching from the western tip of Sumatra to the eastern edge of Papua. An estimated 8,000 of these islands are inhabited by people groups that speak more than 300 languages — making Indonesia a land as diverse and unusual as those who call this island nation home. The Riau Islands Province of Indonesia is a smaller archipelago of 3,200 islands. For centuries, boats have served as the major form of transportation between these thousands of islands. 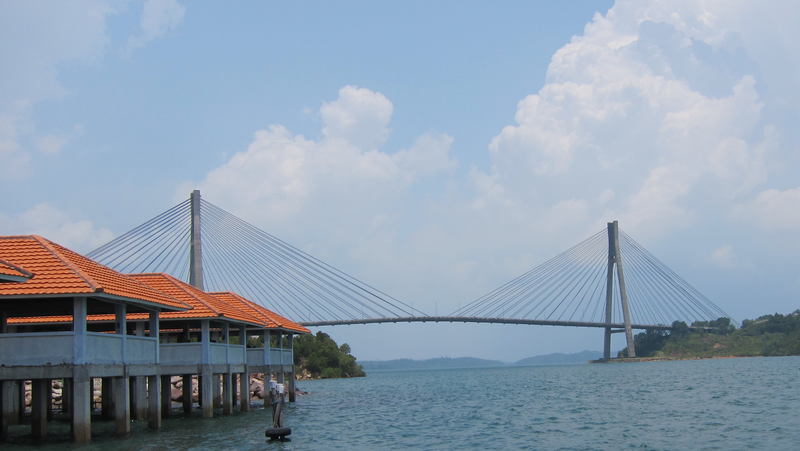 However, because of a government initiative to connect three of the major islands and several small ones in Riau, the people of this province can now travel over six beautiful bridges. This afternoon, we traveled over the Barelang Bridge which is a recognized symbol of the island of Batam and a popular local site. No one seems to mind that vendors occupy one lane on each side of the bridge. Somehow people and cars manage to share the scenic space that spans two islands and offers amazing vistas in every direction. There is something inherently beautiful about bridges. The word itself has become a part of our vocabulary. It’s the word we use when talking about making connections or working toward reconciliation with others. We’ve all heard the admonition to “not burn our bridges.” Building bridges is the antithesis of building walls. Walls tend to separate and protect. The Chinese built the Great Wall to keep the Mongol hordes and other invaders at bay. Bridges, on the other hand, are designed to provide access between people and places. Traveling and interacting with people in other places not only helps those who travel, it can also help those they meet to abandon their own prejudices or misinformation about others. However, you do not have to travel around the world to build bridges of understanding. All we have to do is span the chasms that separate us from others. Whether that means walking across the street to meet a neighbor from another nation or connecting with a parent at school whose ethnicity is different than our own, we can build bridges right where we are. Like the various and diverse people groups that call Indonesia home, we should look for ways to connect with the diverse people who inhabit our respective archipelagos. Building bridges is worth the effort. In the long run, building bridges will do more to promote understanding than building walls.